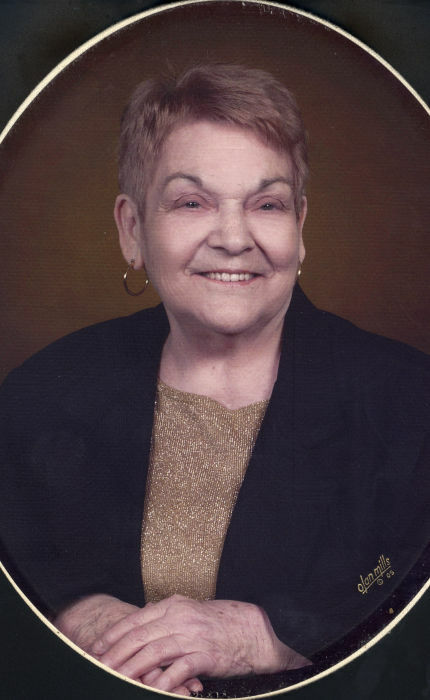 Obituary for Madonna M. (Charboneau) Gaynor | Stone Funeral Home, Inc.
Madonna M. Gaynor, age 88, of Cheboygan passed away Tuesday, January 29, 2019 at Medilodge of Cheboygan. She was born August 8, 1930 in Cheboygan, the daughter of Raymond and Bertha (Ayotte) Charboneau. Shortly after graduating from Cheboygan High School in 1948, Madonna married Harold R. Gaynor who preceded her in death in 1998. Madonna had worked as the dairy manager for Kroeger for 25 years. After Kroeger closed, she went to work at the Fort Fudge Shop in Mackinaw City where she managed the candy department. She retired in 2009 after 28 years of service. She was a member of St. Mary/St. Charles Catholic Church and enjoyed bowling and her Thursday night card club. Madonna was a “giver”, and sometimes, generous to a fault. Over the years, she had held guardianship for her brother-in-law, sister-in-law and a grandson. She will most be remembered for her kindness, generosity and her love of everyone. Survivors include her son, Bill (March) Gaynor of Pinconning, two sisters, Ilene (Richard) Skinner of Grand Rapids and Linda (Leigh) Payment of Empire, one grandson, Charlie Gaynor of FL and five great grandchildren. Besides her husband Harold, she was preceded in death by her parents, five brothers, Dale, James, Harold, Vernon and Wallace and one sister, Nathalie Farmer. A graveside committal service to be held at Oak Hill Cemetery will be announced in the spring. Arrangements are being handled by the Nordman-Christian Funeral Home.